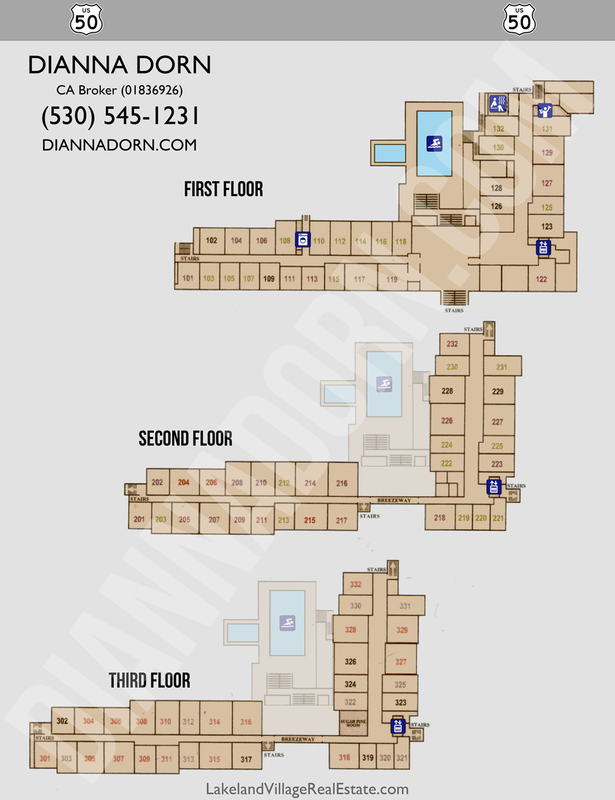 I have provided a Lakeland Village condo map – lodge map for your convenience. Lakeland Village Real Estate is comprised of condominiums, town homes and Beach Houses. This Lakeland Village condo map will help you identify the orientation in which each condo is located. One half of the lodge condos are located on the Highway 50 side of the building. They overlook the year round heated pool and spa. They also receive sunlight nearly 365 days a year. Lodge owners enjoy sub terrain parking with elevator access. Within the heated hallways you will find a fitness center, his and hers saunas and a beautiful lobby with plenty of seating and a cozy warm fireplace. The pool is heated year round as well as the hot tub. The lodge location is only a 2 minute stroll to the over 1000′ of sandy beach. The Lodge is also located close to shopping such as CVS and Safeway as well as restaurants such as the Riva Grill, The Brewery, Big Daddy’s, Teps Villa Roma, Nikki Chat and so many more. If you have been searching for a waterfront property than Lakeland Village may be the place for you! There is also a bike trail that will take you all the way to Camp Richardson or the opposite direction to Stateline Heavenly Village. At Stateline will will find shopping to satisfy everyone in the family, numerous restaurant, casinos, entertainment an adventure park and so much more. The lodge makes purchasing a waterfront Lake Tahoe property affordable! For the investor looking for one of the most attractive real estate properties to own in the Tahoe basin, you will find that Lakeland Village is a very appropriate choice. Choose a type or price range from the selection available. A range of sizes from a moderately priced Studio apartment in the Lodge building to Waterfront Units available with up to five bedrooms located on 1,000 feet of wide, sandy beach. Owners of well-maintained, nicely furnished Lakeland units have the option of using the services of the “on-site” vacation-rental agent, if they choose to make their unit available for short-term vacation rental. This is a very attractive “turn-key” managed program that requires no hands-on input from the owner. Many owners use this program to off-set ownership costs. 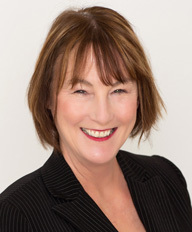 "We met Dianna when she showed us a few properties in Lakeland Village. We weren’t working with a realtor at the time, but were so impressed with... continued"